GARDAÍ HAVE ARRESTED a man in connection with the murder of Eddie Hutch two years ago. 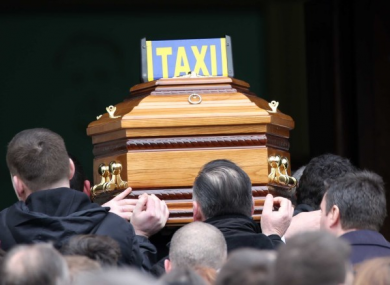 A brother of Gerry ‘The Monk’ Hutch, the 59-year-old taxi driver was gunned down at his home on Poplar Row in Dublin’s north inner-city on the night of Monday 8 February 2016. In a statement this afternoon, gardaí said the arrested man was “conveyed to Mountjoy Garda Station” and has been detained under Section 5 of the Criminal Justice Act 2007. Email “Man arrested over the murder of Eddie Hutch two years ago”. Feedback on “Man arrested over the murder of Eddie Hutch two years ago”.